Hey everyone! 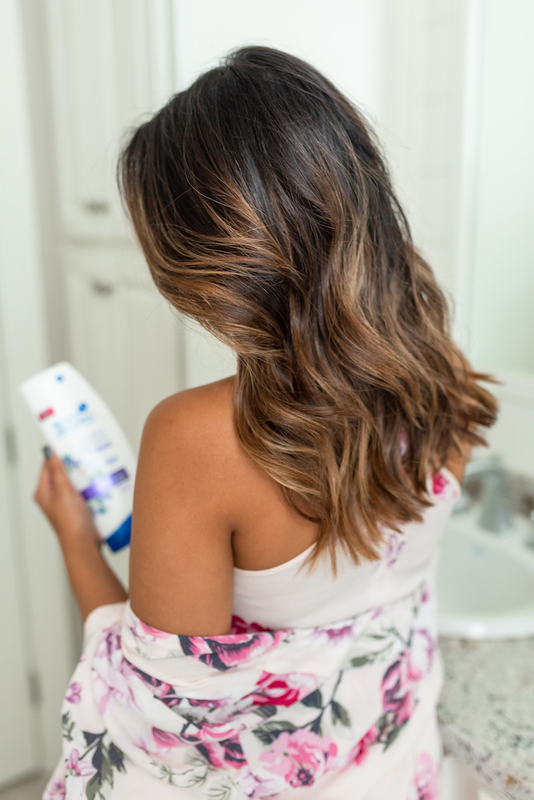 Today I’ve teamed up with Head & Shoulders to share 3 ways to unwind during the holidays. Don’t wait until you feel overly stressed to try and calm yourself down. Instead, create a daily or weekly routine for yourself that you know will keep you feeling happy and stress free. Peacefulness should start before you even wake up. Before you go to bed, do a 5 minute pick up so that you wake up to a nice, clean home. Then diffuse lavender oil in your room while you sleep. I also like to use a sound machine that helps me fall asleep and stay asleep. Additionally, Blake and I keep silk pillow cases and sateen sheets on our bed to make it extra soft and comfortable. A good night’s rest is vital to living a stress free life. Also, set your alarm 15 minutes earlier than the time you need to get ready so you have extra time to sit down and enjoy your coffee before getting ready for the day. I’m usually a night-showerer, but whether you shower in the morning, evening, or mid-day (it happens! ), this is this perfect moment to unwind and take a deep breath. 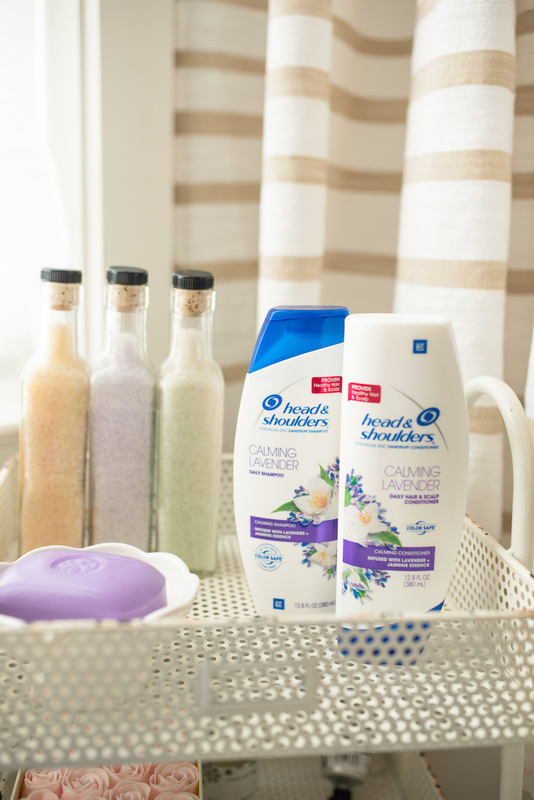 I also recommend incorporating lavender products into your beauty routine to keep the calming aroma going. 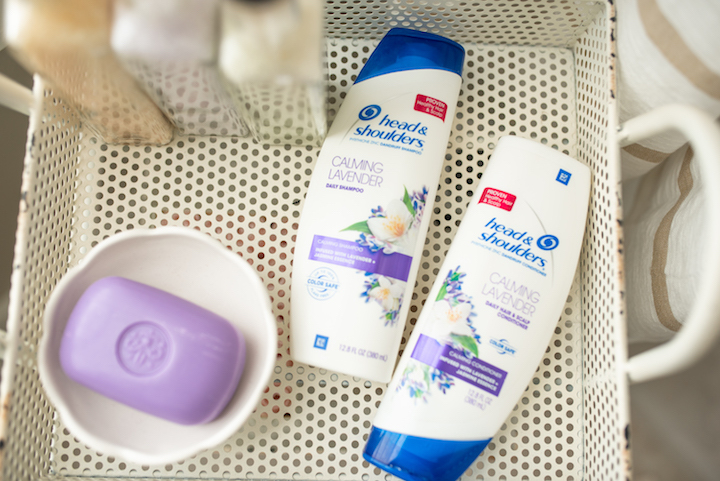 Head & Shoulders makes a great Calming Lavender Shampoo and Conditioner Collection infused with both lavender and jasmine which you can pick up at Dollar General. The Calming Lavender Collection works together to moisturize the scalp’s skin to restore its balance for healthier hair in the future. What I love most, it calms, renews and nourishes the scalp for shiny, manageable hair leaving you 100% flake-free. Healthy scalp means healthy hair. So, it’s a super easy and affordable way to work more relaxing lavender scents into your daily routine. Plus good hair days always help keep you happy too, right? When you get home from work, put your phone down and unplug. Light some lavender scented candles or play some music and relax for 15 minutes before starting dinner or getting back to household chores. It’s so important to remember to take time for yourself to relax or meditate and breathe. 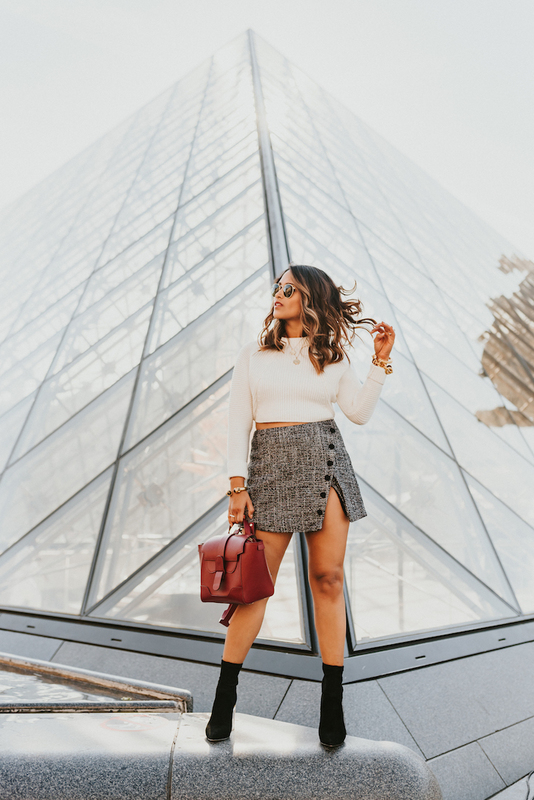 This post is in partnership with Head & Shoulders, a brand I love. All opinions and selections here are my own. Thank you for supporting the affiliate posts who make this blog possible.